Well this adds a whole new meaning to the phrase “bottoms up”. 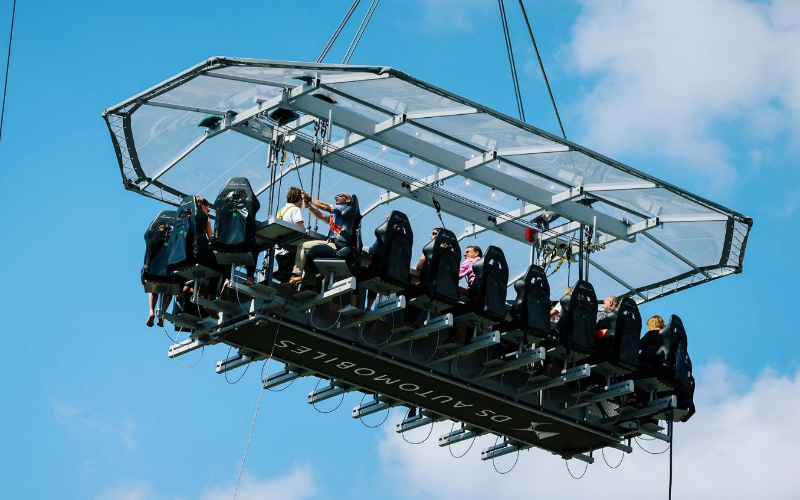 If dining suspended 100ft above London wasn’t extreme enough for you, London In The Sky is hosting an extra special breakfast flight where everyone will be naked. The whole point of having brekkie in your birthday suit is to raise money for breast cancer awareness charity CoppaFeel! and men’s health awareness charity Movember, so if you want a seat at the table, you have to register for the ballot, cover the £99 ticket cost and then get some extra sponsorship to really help raise some money. And whoever raises the most will be invited back for another flight, fully clothed. Do you dare to bare?